What is this apparition of heaven? 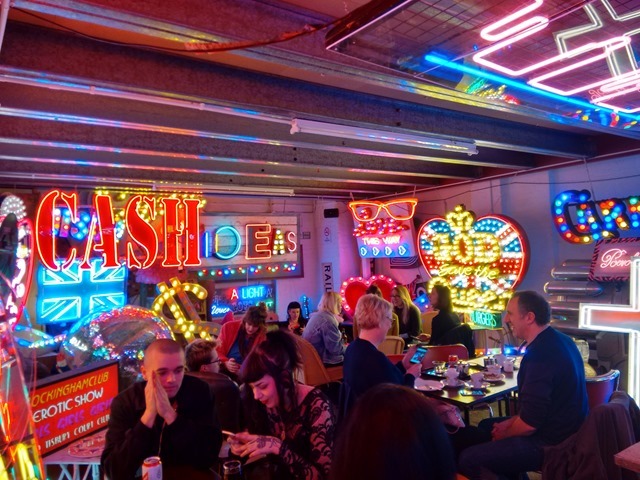 Last week I found myself in a neon paradise, standing in a warehouse in North East London, surrounded on all sides by rainbow-hued signage. I thought I’d died and floated off to psychedelic nirvana. 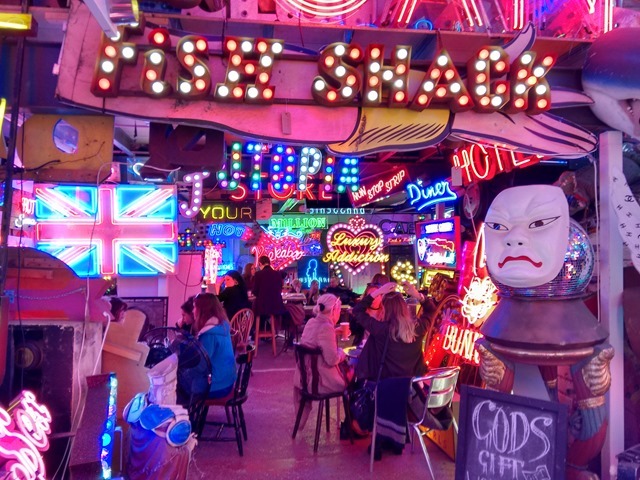 God’s Own Junkyard is a shimmering Aladdin’s cave of new and salvaged retro neon signage, religious iconography, disco balls and film props hanging from the ceiling and festooning every available surface in a warehouse space on an industrial estate in Walthamstow. 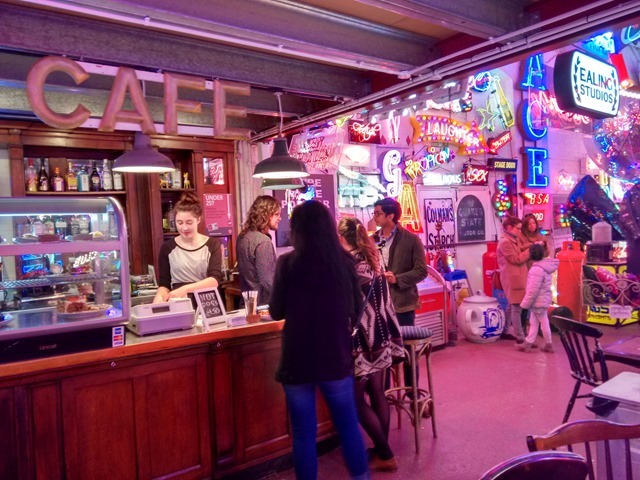 And, guess what, there is a cafe inside this space called The Rolling Scones, where you can have a slice of cake and a cuppa while being dazzled from all sides – amazing! 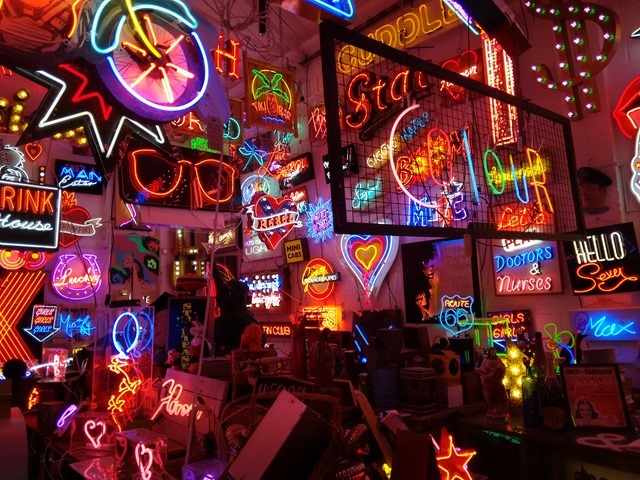 Artist and lighting designer Chris Bracey was the driving force behind this incredible collection of neon. 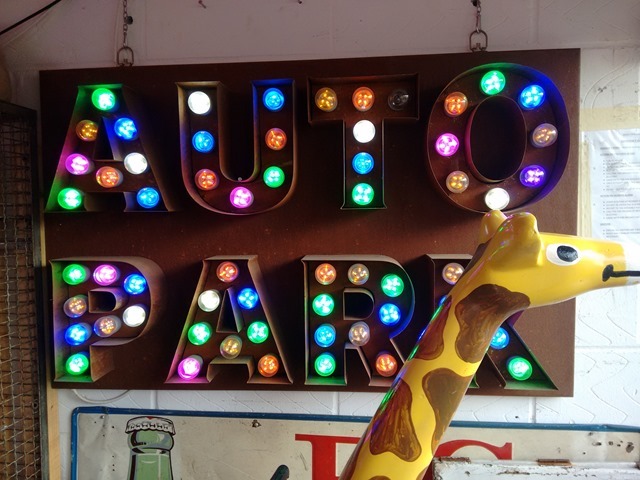 Over a 37-year period, he crafted neon signs and also collected and restored them. 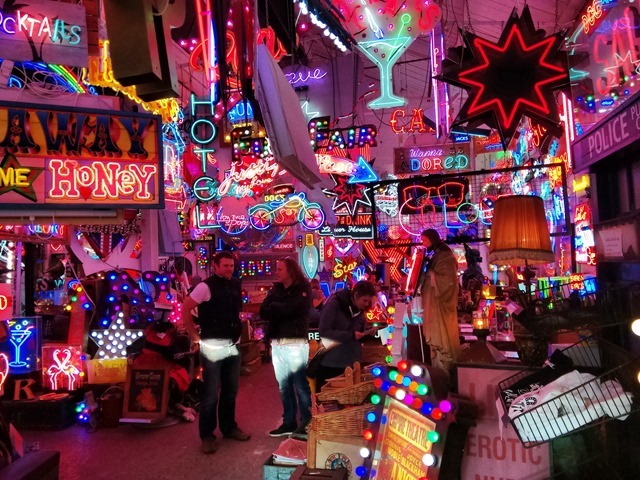 His collection has achieved cult status around the world, and he supplied all kinds of neon wonderment to the film industry, artists and celebrities. 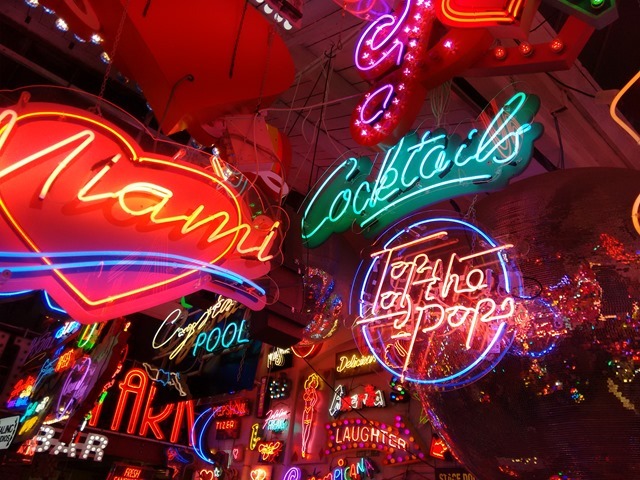 I was thrilled to learn that his neon signs were used in one of my all-time favourite films, ‘Bladerunner’. 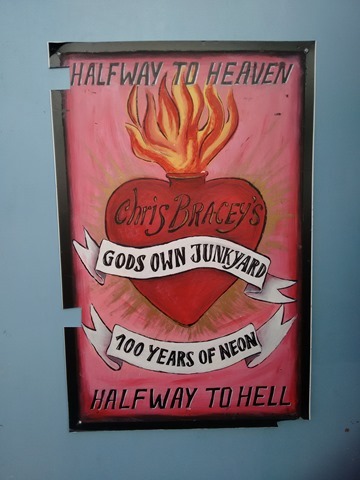 Sadly, Chris passed away last year, but his family have taken on the business and are continuing his good work. 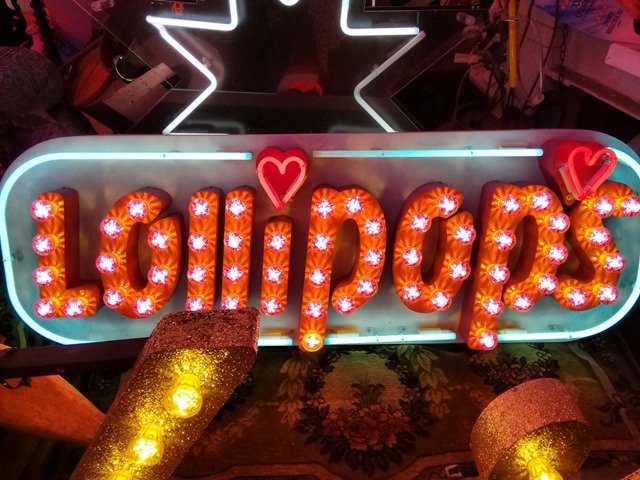 This piece also features on Huffington Post UK. Incredible place, eh?! Vix and Stu took us there in December although I can’t recall a cafe. Is it new? Fantastic name.